Dry eye is a general term given to an array of eye conditions .Symptoms of Dry Eye are described below. 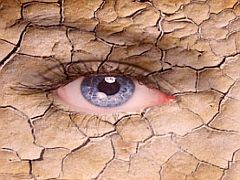 Most commonly, dry eye relates to compromised composition of your tears or a problem with the surface of the eye. Your tears are made of 3 layers; one layer is a mucoid layer, second one an oily layer, and finally the third is a watery layer. A breakdown in the composition of these layers leads to most common presentations of dry eye. With these patients, it is the breakdown of the quality of the mucoid and oily tear layers which leads to dry eye. Our understanding of the mechanisms is still being unravelled as we have learned a lot about the inflammatory cells and mediators that are present in these layers. Who Can Get Dry Eye? individuals with disease of the surface of the eyeIf you feel you may be suffering from Dry Eye, book a consultation at our clinic, also see Dry Eye Clinic Page.